DALAKHANI (IRE) (Bay 2000-Stud 2004). 8 wins-3 at 2, Longchamp Prix de l'Arc de Triomphe, Gr.1. Sire of 675 rnrs, 388 wnrs, 52 SW, inc. Conduit (Breeders' Cup Turf, Gr.1), Reliable Man, Integral, Chinese White, Second Step, Seismos, Duncan, Shakeel, Moonstone, Alex My Boy, Defoe, Candarliya, Guardini, Silk Sari, Terrubi, Vadamar, Armure, Centennial, Democrate, Shemima, Gothic Dance, Shreyas, Golden Valentine, Goldwaki, Shemiyla, Deem, etc. Miss Vixen (f. by Foxwedge). 2 wins-1 at 2-at 1000m, 1100m, A$170,300, to 2017-18, MRC Bert Bryant H., 2d MRC Ladbrokes Multiverse H., 3d MRC Mypunter.com H., Moorookyle Park H.
Approach Me (f. by New Approach). Winner at 1000m, MRC (Mornington) Land Engineering P.
Henry George (g. by Bel Esprit). 2 wins at 1100m in Aust. Vindico (g. by Pierro). Placed at 3 in 2018-19 in Aust. STIRLING GROVE (Mossman). 7 wins-3 at 2-to 1400m, A$546,690, SAJC Sires' Produce S., Gr.3, VRC Schweppes Tonic P., My Room P., MRC Premier Signs P., SAJC Adelaide Casino Cup Day H., Vodafone 2YO P., Schweppes Fulham Park 2YO P., 2d SAJC Jansz S., Gr.3, MRC Doveton S., L, SAJC Manihi Classic, L, VRC Emirates Airlines H., SAJC Allan Scott Park Morphettville Flying H., 3d SAJC Goodwood H., Gr.1, MRC Schillaci S., Gr.2-twice, SAJC WH Wylie H., L, 4th SAJC DC McKay S., Gr.3. Vintage Grove. 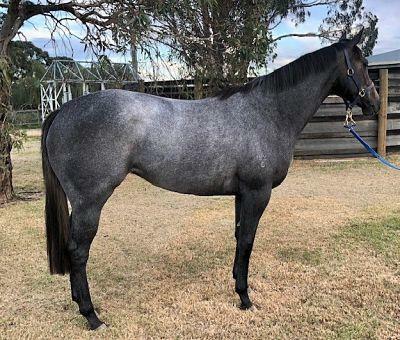 6 wins from 1350m to 1950m, A$137,610, to 2018-19, SAJC Hughes Limousines H., Oakbank RC Big Screen Video H., 2d SAJC Rewaaya P., Mac Drink Driving Grow Up H., 3d SAJC Hughes Limousines H., Gawler & Barossa JC Ausbia Electrical H.
KIRVINSKY (Stravinsky). 3 wins. See above. HUCKLEBUCK (Elvstroem). 8 wins from 1100m to 1600m, A$1,164,320, VRC Emirates S., Gr.1, Yellowglen S., Gr.3, CS Hayes S., Gr.3, MRC Gothic S., L, SAJC Durbridge S., L, Flight Centre H., Dominant H., 2d VRC Carbine Club S., Gr.3, 3d MRC CF Orr S., Gr.1, MVRC Mitchelton Wines P., 4th MVRC Australia S., Gr.2, BRC BTC Classic, Gr.3, MRC Testa Rossa S., L.
Courtza King. 6 wins to 1400m, A$338,940, to 2018-19, ATC Cellarbrations H., BRC Athlete's Foot H., Sky Racing P., Prive249 Restaurant P., SCTC Coolum Business & Tourism H., 2d ATC Tab.com.au P., Qld Tatt's RC Weddings at Tatt's Club Cup H., Ubet H., BRC Madame Wu H., Relaxed Racing H., GA Season Pass H., SCTC Clinic One H., 3d BRC Madison Cleaning Services H., ATC All Too Hard at Vinery H.
Liberty Rock (Rock of Gibraltar). 4 wins-1 at 2-to 1400m, A$106,025, MRC Sportingbet Best Tote H., Le Pine Funerals H., 2d VRC Talindert S., L, 3d MRC Jimjoca H.
Arrochar. 4 wins to 1550m, A$91,545, to 2018-19, MRC Dale Foenander H.
Exceltic (Excelebration). Winner at 1100m, A$118,475, in 2018-19, 2d ATC Pierro 2YO P., January H., 3d ATC Canonbury S., Gr.3, Membership H.
Refined Treasure. 4 wins at 1000m, HK$4,015,000, to 2018-19, HKJC Amethyst H., Sam Shing H., Li Cup, Bonham H., 2d HKJC Peninsula Golden Jubilee H.
Irish Opera (Stravinsky). 10 wins at 1400m, 1600m, NZ$238,800, ARC Speight's H., Classic Hits H., Stella Artois H., Marton JC Waikato Stud H., 2d ARC Easter H., Gr.1, 3d BOP RC Japan-New Zealand International Trophy, Gr.2.